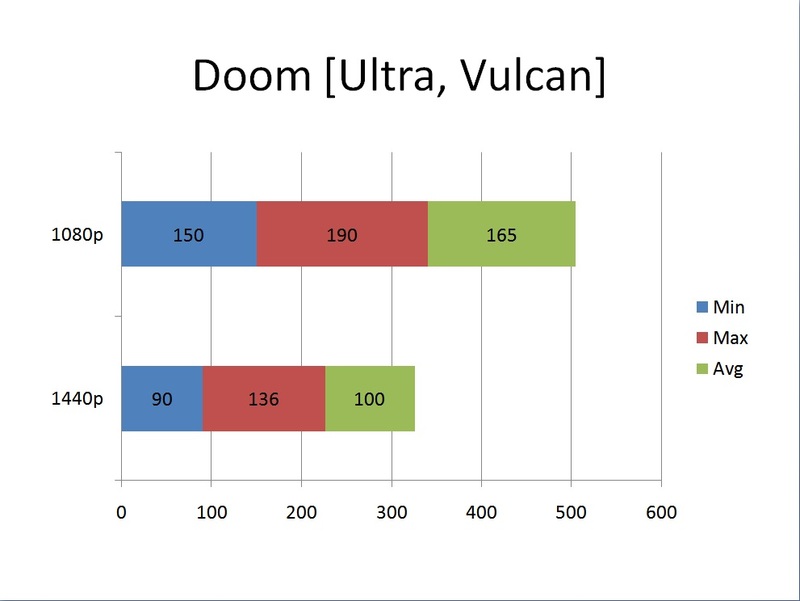 With the release of Pascal architecture, Nvidia has given the gamers and enthusiasts what they were dreaming for, that is, core clocks reaching and crossing the whopping 2000MHz magical figure, yet being more efficient than Maxwell or Kepler architecture. This is definitely a great achievement for the market and industry overall. Not only there is a boost in clocks but underlying architectural changes are well appreciated. 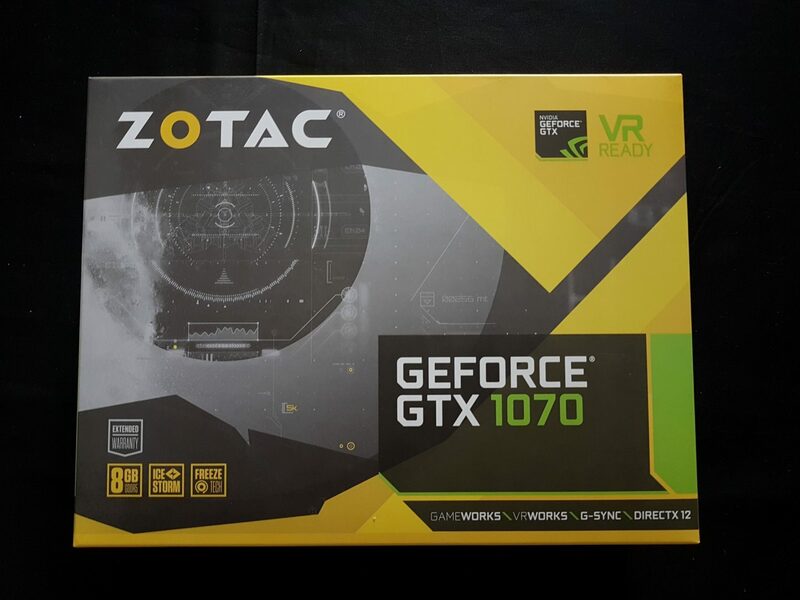 Today, we will be reviewing a GTX 1070 mini from Zotac. 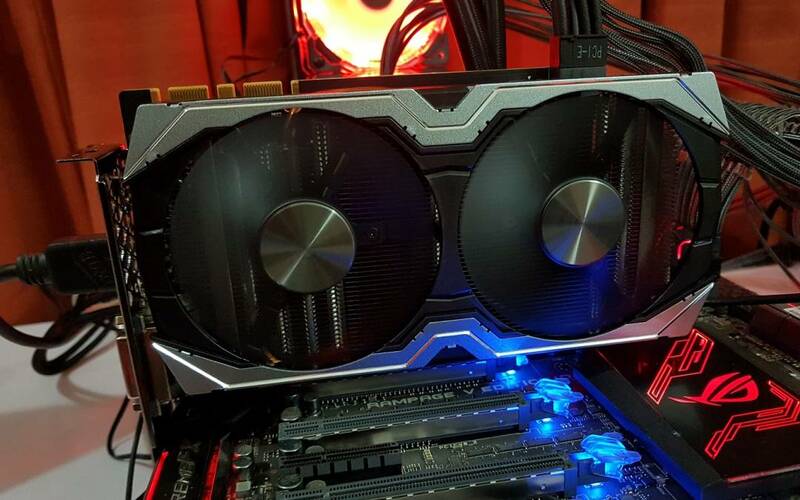 Zotac has made quite a way among gamers and enthusiast overclockers. 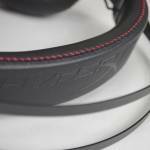 Their Amp series, particularly Amp Extreme has lived very well up to their branding of Push the Limits. Amp Extreme being the company’s high-end offering. 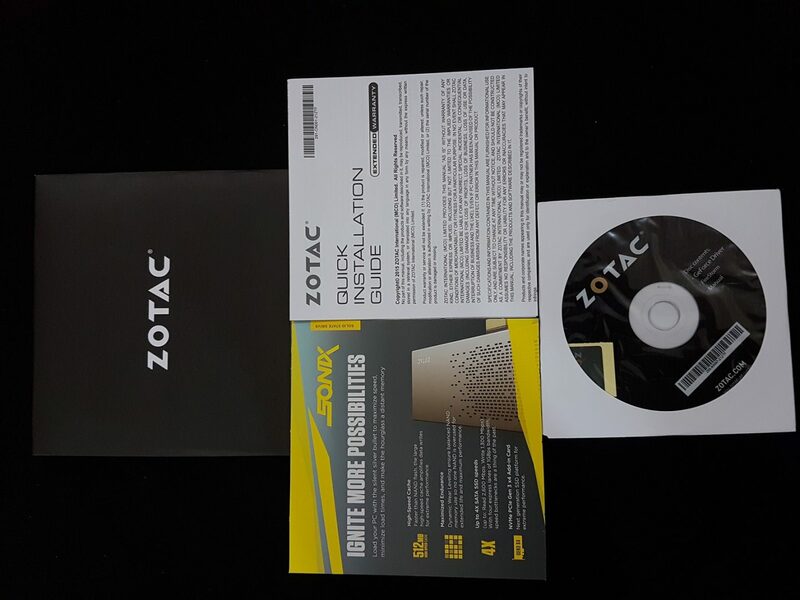 The Cards Box comes with a traditional Zotac scheme of mostly yellow color followed by black and green colors. Basic info about the card like Game Works, VR Works, GSync, DX 12 and VRAM are printed on the front cover. The back side highlights some of the salient features and specs for the users. 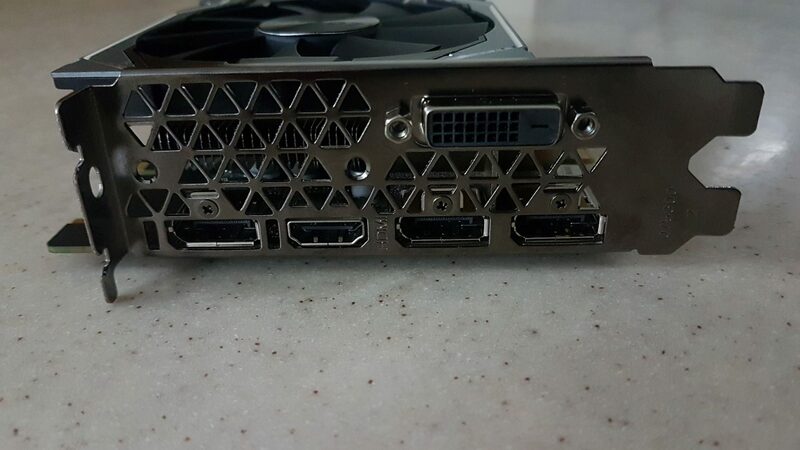 Back side has got almost all specs that user could look at while buying. Packing box is sturdy. There is another black color box inside containing the graphics card and the accessories. Box is placed inside an inner packing for safety. To our surprise, there was no backplate on this card which is somewhat disappointing. 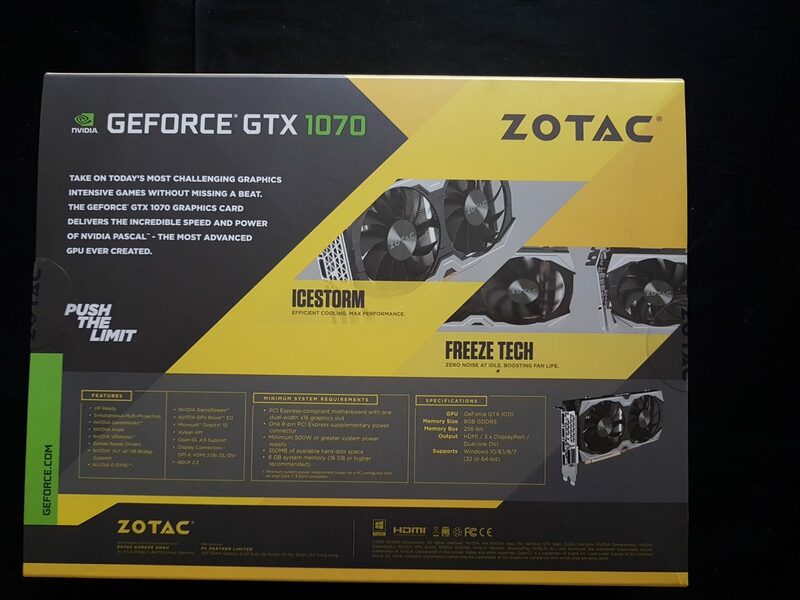 The card features Zotac’s branded IceStorm cooling solution with dual 90cm fans. Icestorm cooling is among the best in the market when it comes to cool the graphics card under load. This helps in longevity of the components on the PCB to ensure the longer lifespan of the card. 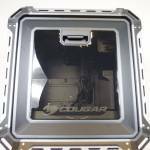 Cooler shroud is made of plastic in black color. There are two silver color top and bottom custom design covers on the shroud which add to the overall aesthetics of the card. 8mm heat pipes are visible under the shroud near the PCIe connector. PCB of the card is black. Looking from the top there is a single 8-pin power connector. Total power draw of the card is 150W. 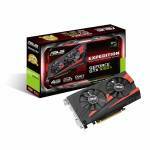 The card is factory overclocked to 1708MHz boost clock as compared to the Nvidia’s guaranteed 1683MHz boost clock. Fan connector and header are visible in white color. One can see two 8mm heat pipes and closer inspection would reveal the two 6mm heat pipes right on top of the cold plate. Green color pads are visible as well and all VRAM chips are covered with the heat pads. 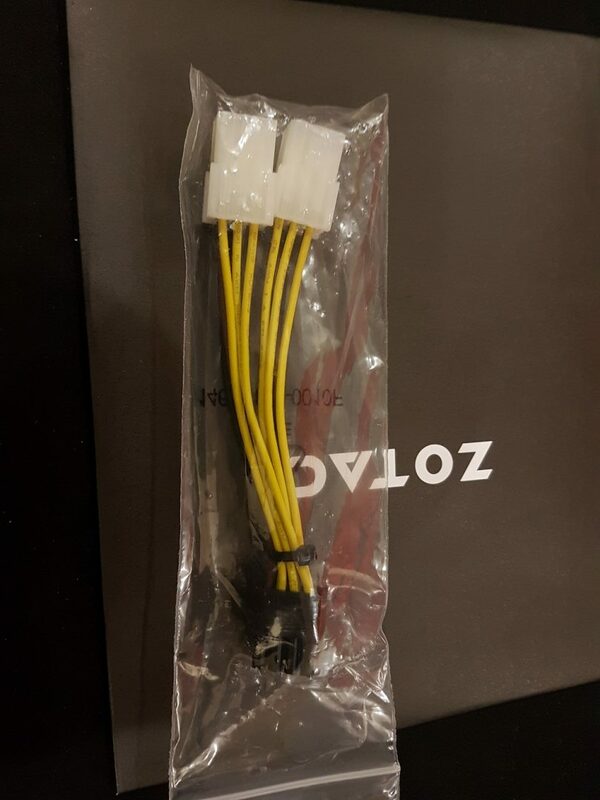 Zotac did not leave the cooling aspect from any angle uncovered. White color Zotac branding is visible on the top. There is no RGB or any lighting for this part which is understandable given the low cost of the card. 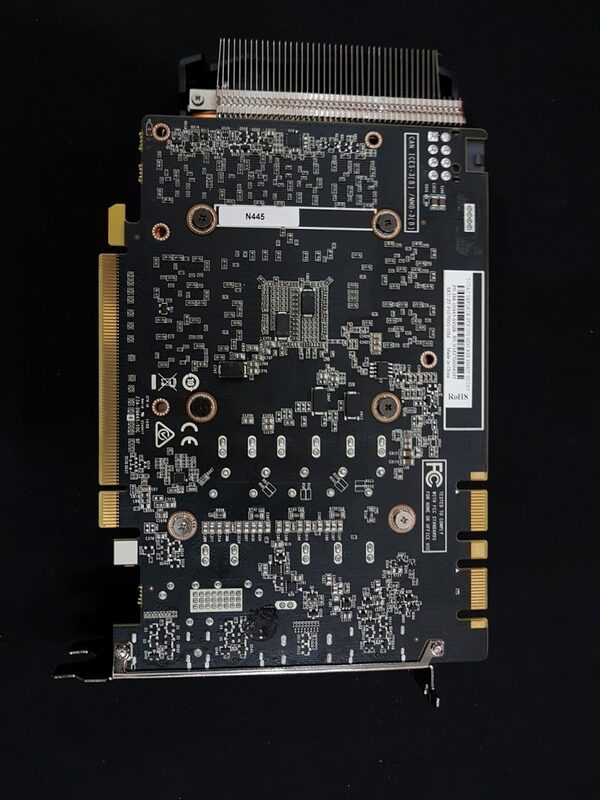 As mentioned already that there is no backplate on the card. Card features 5 power phases for VRM. Two SLI fingers are visible. 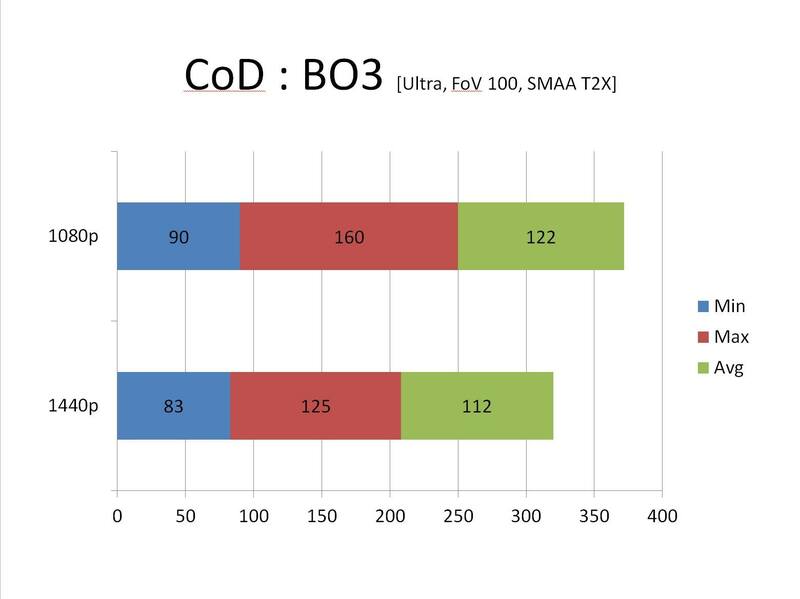 Zotac has provided the SLI support on this card which on one hand surprises me, while it makes sense on the other hand. As the card is mini form factor, there is hardly a chance that there would be an SLI of these two cards in small form factor. But, one can still get two of these cards and put them in a regular ATX form factor builds for SLI config. 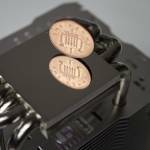 Good thinking on Zotac’s part. The Card has support for up to four displays. It supports HDCP as well. On the Backside of the card is a typical IO port featuring. Heat sink covers the complete PCB and some part of it extends over the PCB for best possible cooling. Following test system was used to measure the performance of the card. 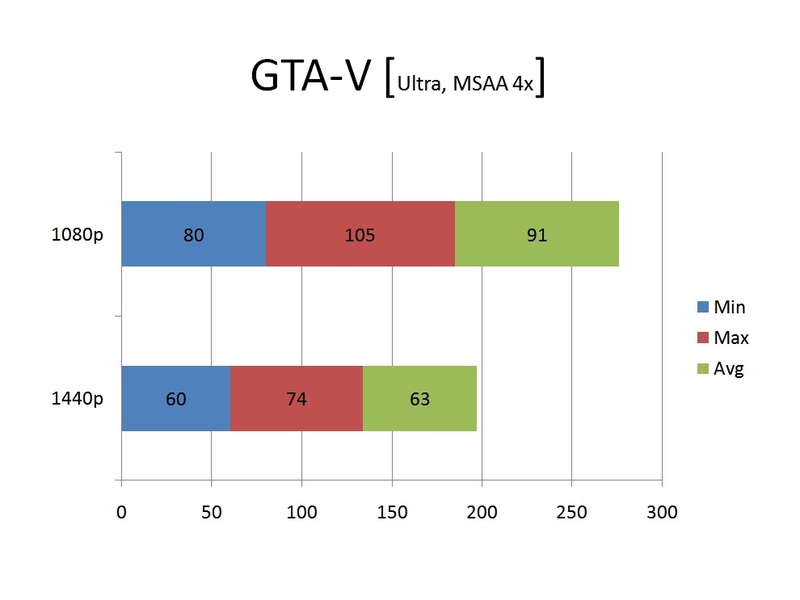 Games were tested on 1080p and 1440p and where possible Ultra settings were applied. MSI After Burner was used to overclock and monitor the clocks and temps. Let’s get started with bench scores. These are graphics scores, not overall scores as graphics scores should be focused while checking the performance of the graphics card. 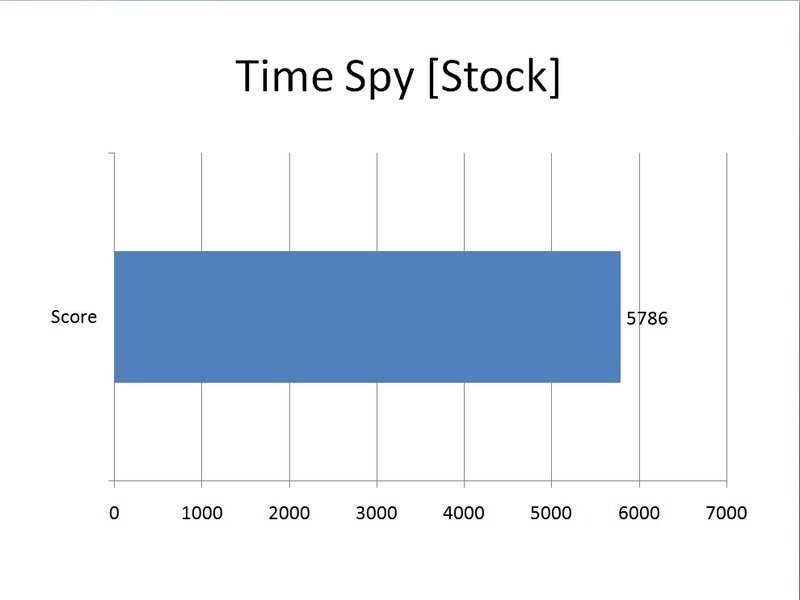 Overall score is impacted by the Physics score by CPU. Unigine Valley was run at 1080p and 1440p with Ultra settings. 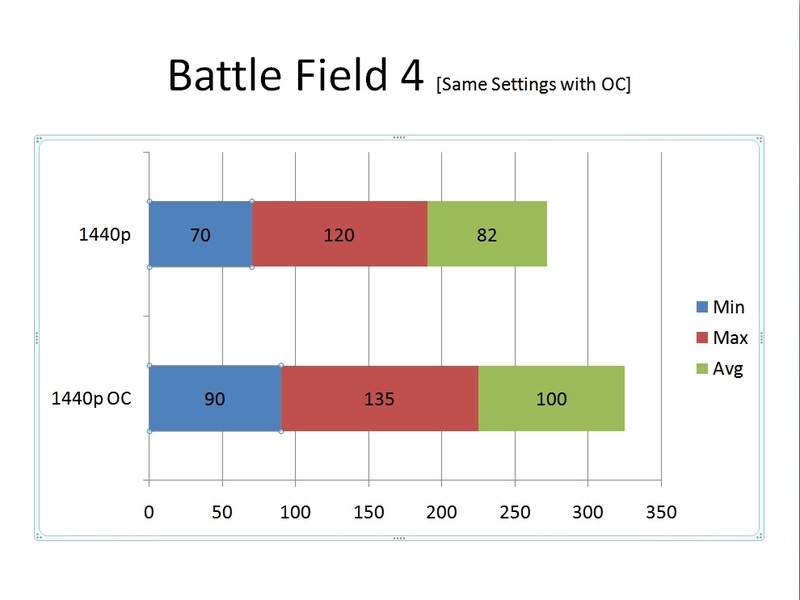 Only FPS are shown in the graph. 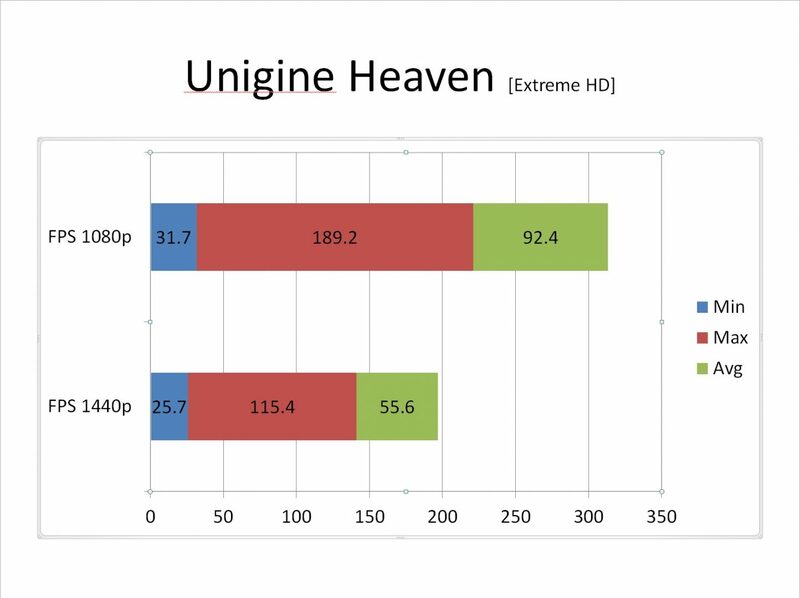 Unigine Heaven was run at 1080p and 1440p at Ultra settings. 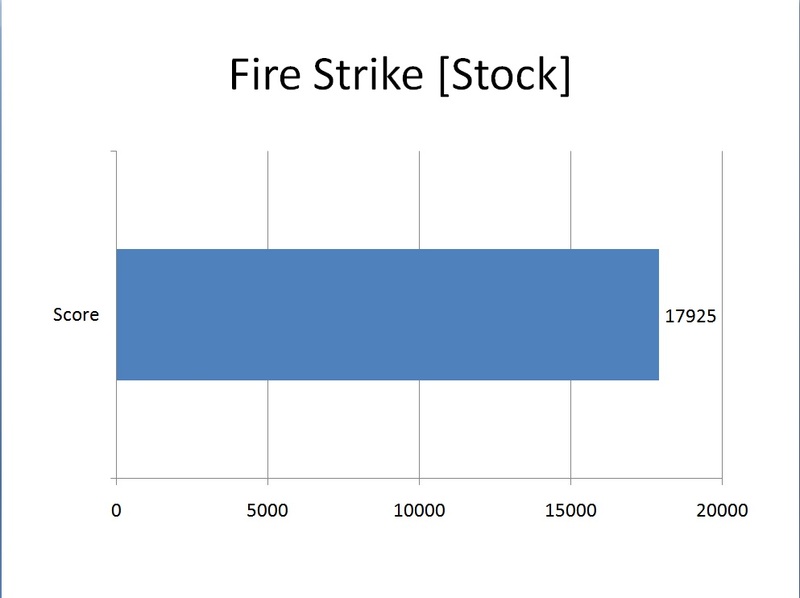 Only FPS are shown in the graph. 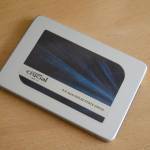 Zotac cards are known to be good overclockers particularly the Amp Extreme and this card was no exception to that. 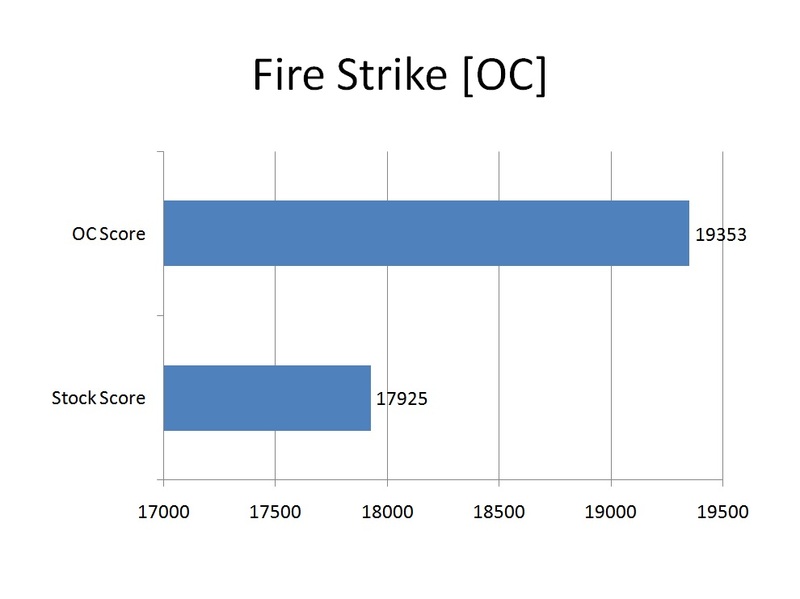 To overclock the card, I used Zotac’s FireStorm utility. This software has simple and friendly user interface. 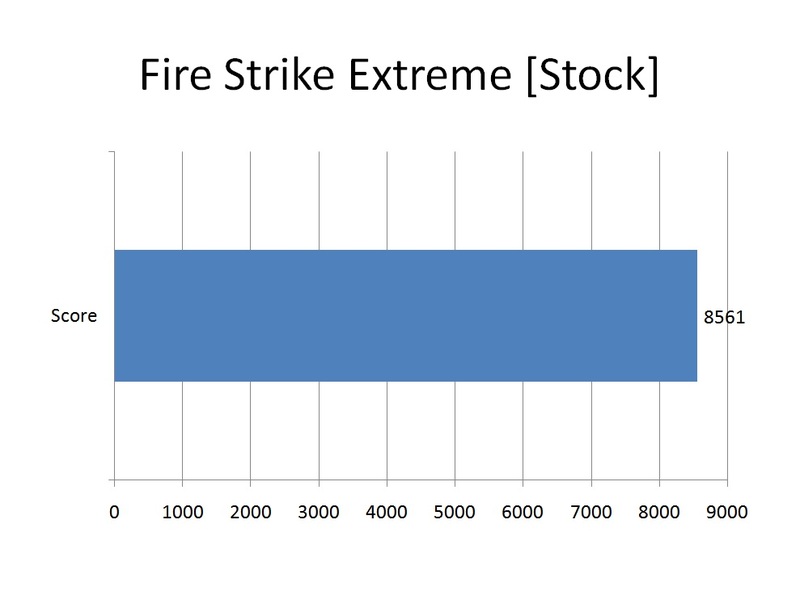 It did not take me any time to start with it as it was my first time with the FireStorm. The card was OCed to +350MHz on Core clock and +500MHz on Memory clock with 50% voltage boost. Max boost clock was 2050MHz. During my complete testing, fans were run on default settings. I did not change the fan curve to bring the temps down as temps above are still very good for this card. As no sound recording equipment was available at the time of testing, the sound level could not be checked. But, still from my personal experience, fans were dead silent even under load which shows the power of Icestorm cooler. 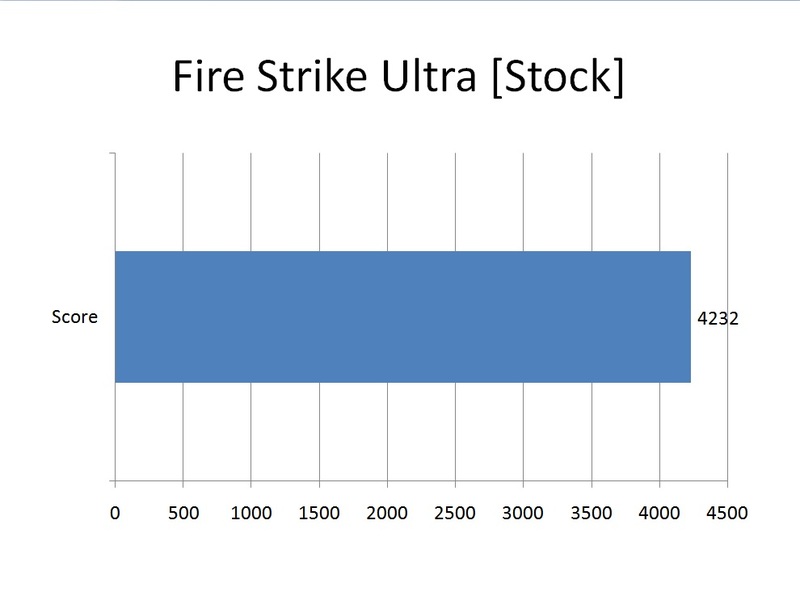 On stock, the maximum power drawn under load was 338W as recorded by the AX1200i software. 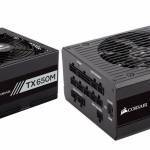 With overclocking, maximum power draw was 360W. There is a 7.9% gain in graphics score which is quite good as the overclock was stable. 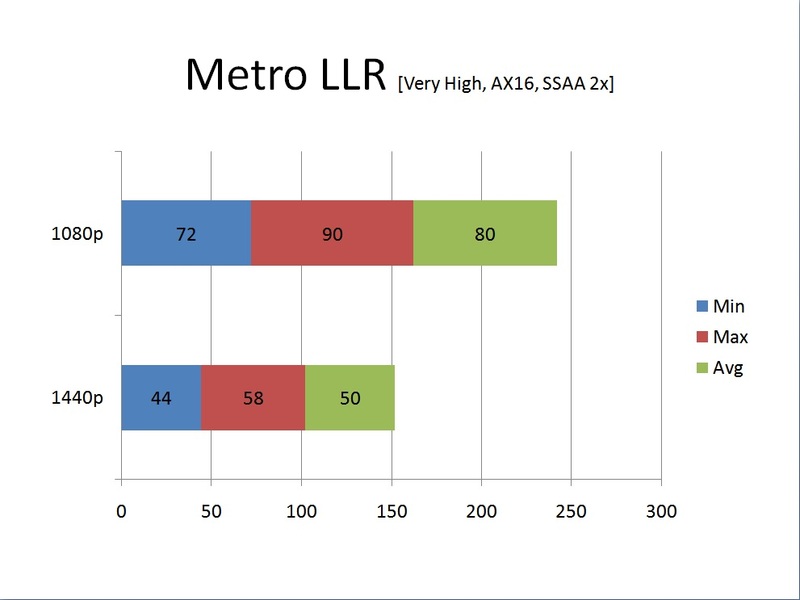 Approx 9.5% performance boost in graphics score. 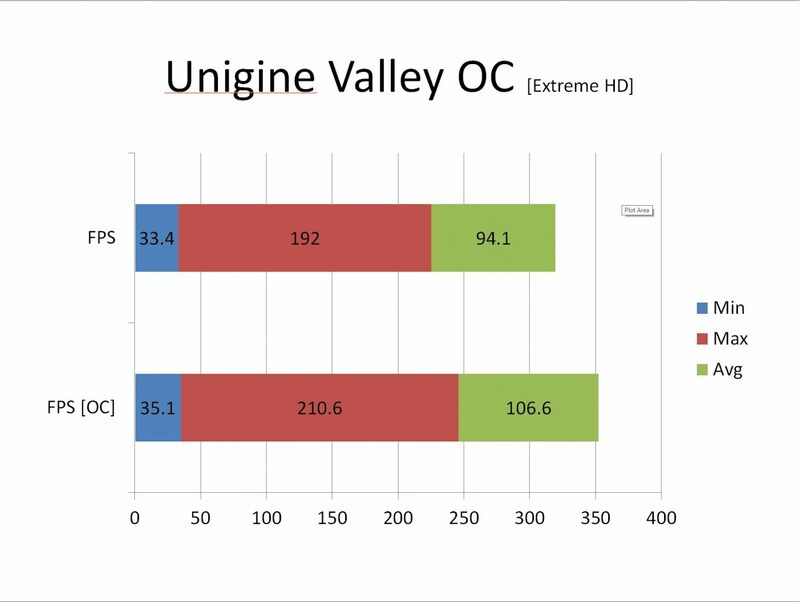 Unigine Valley was run at 1080p only with overclock. Only FPS are shown in the graph. A massive 13.2 % performance gain over the stock FPS is very impressive boost. 8 FPS gain on average is a good figure which represents 9.5% gain over the FPS without overclocking. 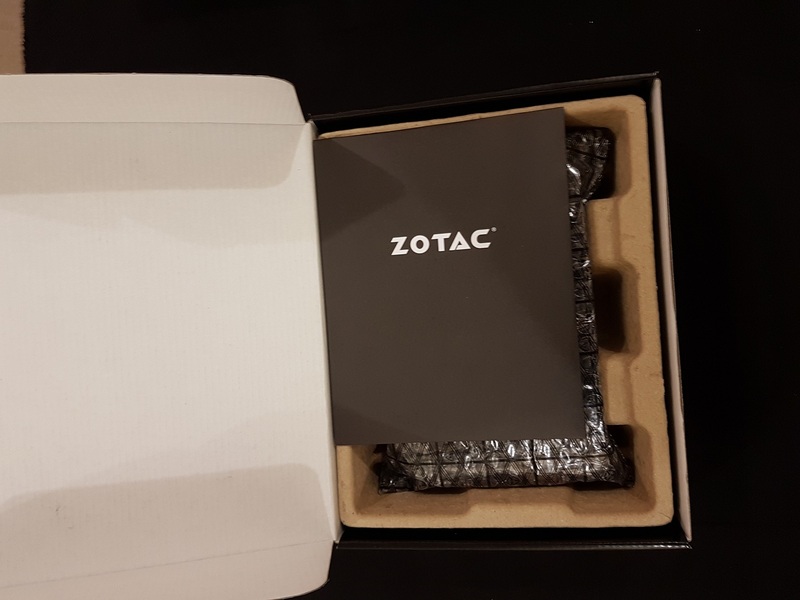 Zotac is bringing some good value stuff in the market for enthusiasts and gamers, particularly in graphics card. There are 5 different graphics cards in GTX 1070 lineup. GTX 1070 mini is aimed at market segment with budgetary constraints yet it has delivered performance level of a regular size graphics card. 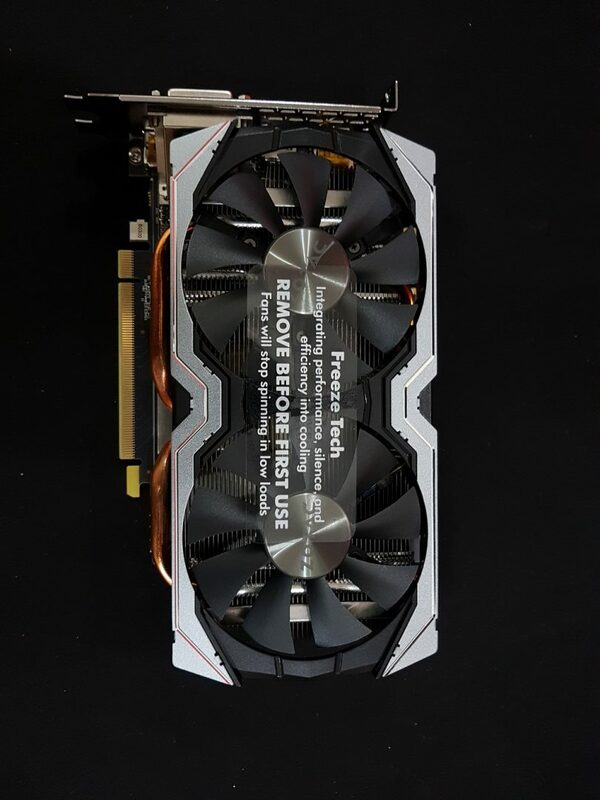 This card does not have any blowers and whistles of RGB and any such stuff it has simple shroud design. No lighting effect and cut down version of icestorm cooler. But, above facts and figures are enough to justify the purchase of this card particularly when one would consider the price of it. 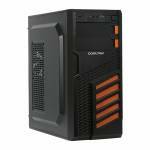 Its price is $389.99 as listed on NewEgg. 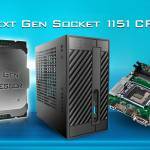 Based on its size, it is best suited for any small form factor build yet it can be used in any regular ATX size build. Needless to say, it has SLI capability as well. 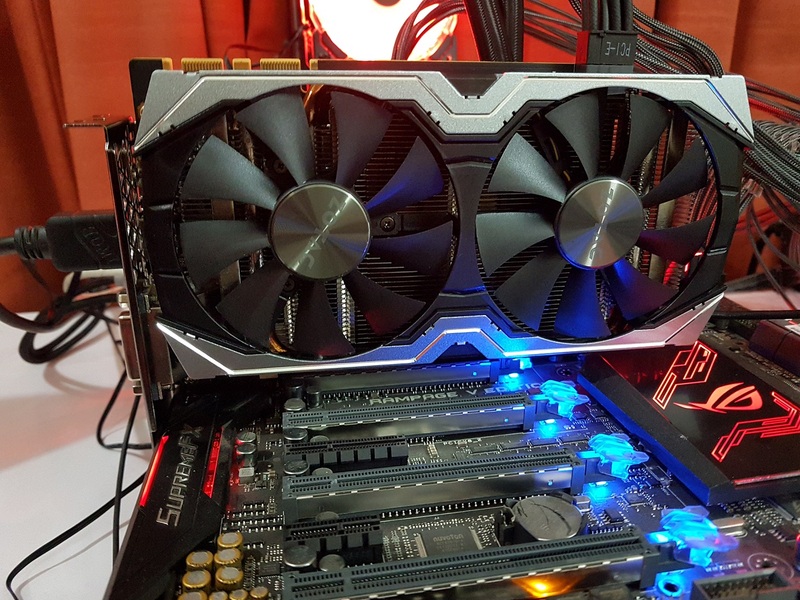 Performance wise, this card has delivered a very good gaming experience. I’ve absolutely no complaint with it. Anything and everything which I’ve thrown at it, it has chewed it very well. 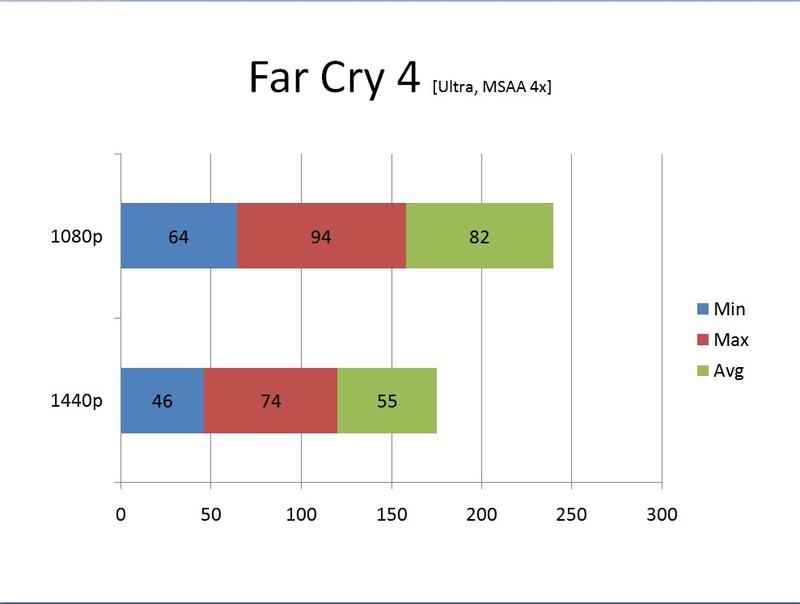 I cranked up all the possible graphics settings to max and tested the card on 1080p and 1440p resolutions. 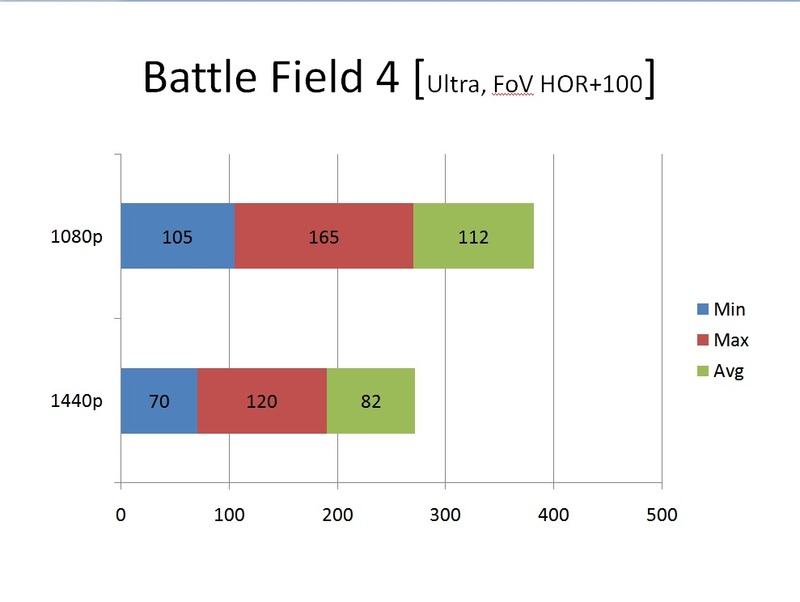 In few games, it dipped below 60 FPS but those settings are not used on daily basis and lowering them from Ultra to Very High would see the card doing 60+ FPS even on 1440p easily. 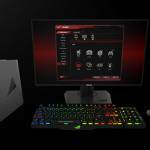 Up to 1440p, this card is all that one would need for their gaming experience. 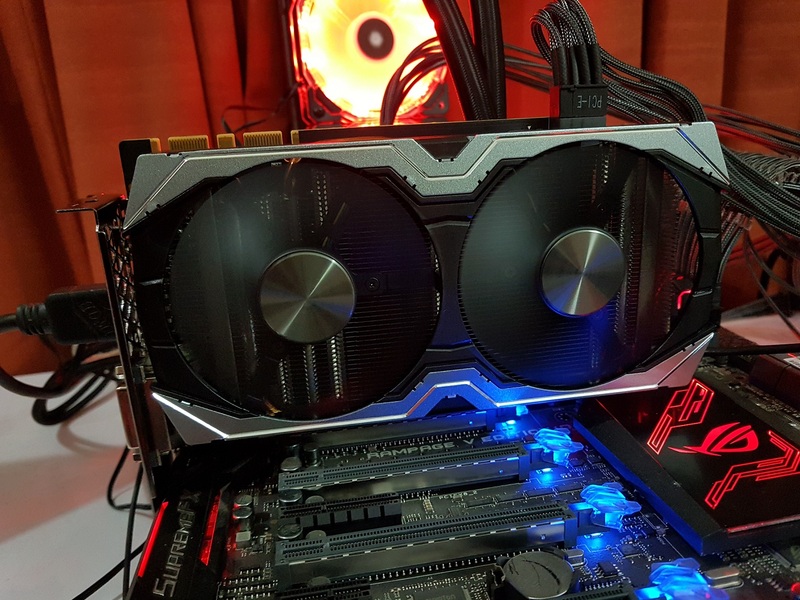 With the good potential of overclocking, this card can bring up to 9% performance gain which is really handy if one wishes to play with totally maxed out settings on higher resolutions. 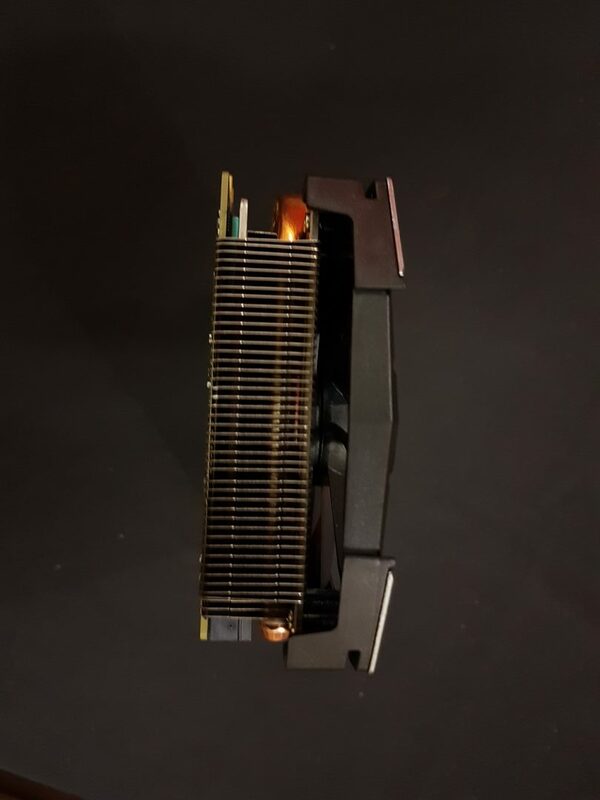 This card has a very simple design yet it packs the same icestorm cooling solution on it. The only con that I would see in it is no backplate. Understandably so, this has further reduced the price. Though Zotac would have skipped on design elements and backplate but the sheer performance given by this card overcomes this con very well. 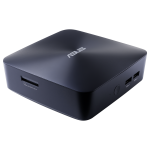 With $389.99, one would get ultimate gaming experience card for up to 1440p resolution. For what it offers in this price range is too good for the gamer. This was my first Zotac card to game on and it has not disappointed me at all. From gameplay to overclocking, this card has delivered. I would rate this card as “Must Have”. Special thanks to our sponsor, PakDukaan for this review. 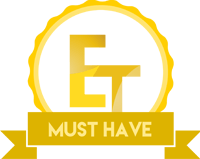 Want to discuss this review further, head on over to the Zotac GTX 1070 Mini thread, in the Enos Tech Reviews Sub-category on the Gaming Exodus forums!